One of the world leading payment solution providers for parking, will launch the latest additions to their integrated suite of payment solutions, ADVAM UnattendedConnect and AltitudeReservation Lite, at Intertraffic 2018 being held on 20-23 March in Amsterdam. ADVAM UnattendedConnect is an unattended payments solution that connects a client to any major bank whilst utilising their existing payment terminals. ADVAM will support the terminal supplier through the EMV certification process to ensure that the client achieves an end-to-end EMV certification for their payment solution. With ADVAM UnattendedConnect, clients have access to the power of the ADVAMGateway and support from the ADVAM team, ensuring that they will have a payment solution that is fast, easy and secure. Another solution that the market should watch out for is ADVAM’s AltitudeReservation Lite, which will become available later this year. It is the out of the box version of ADVAM’s powerful prebook platform, AltitudeReservation. AltitudeReservation Lite is designed for parking operations that want an uncomplicated prebook solution. AltitudeReservation Lite will be pre-released to the market at the event and will become available in late 2018. 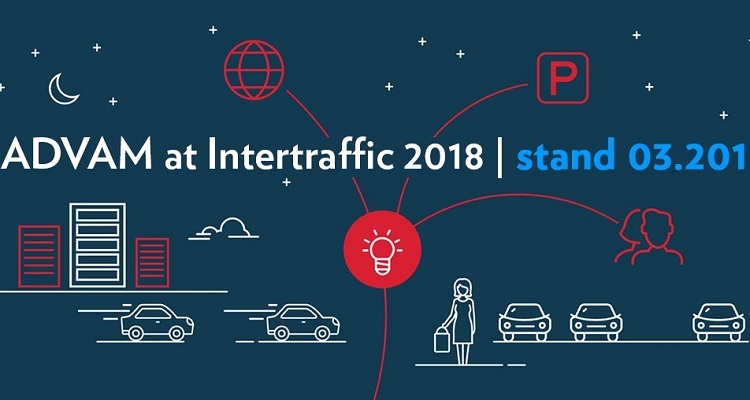 To find out more about ADVAM UnattendedConnect and AltitudeReservation Lite, visit ADVAM at Intertraffic 2018, stand 03.201 or contact sales@advam.com.